Photo: A different rabid bat found elsewhere in Los Angeles County – but similar to the ones found locally. A rabid bat fell out of a tree and bit an Acton resident on the shoulder Aug. 3, a county health official said Friday. “I can’t remember the last time. It’s been years since we had someone say they’d definitely been bitten,” said Dr. Emily Beeler of the Los Anglees County Department of Public Health. 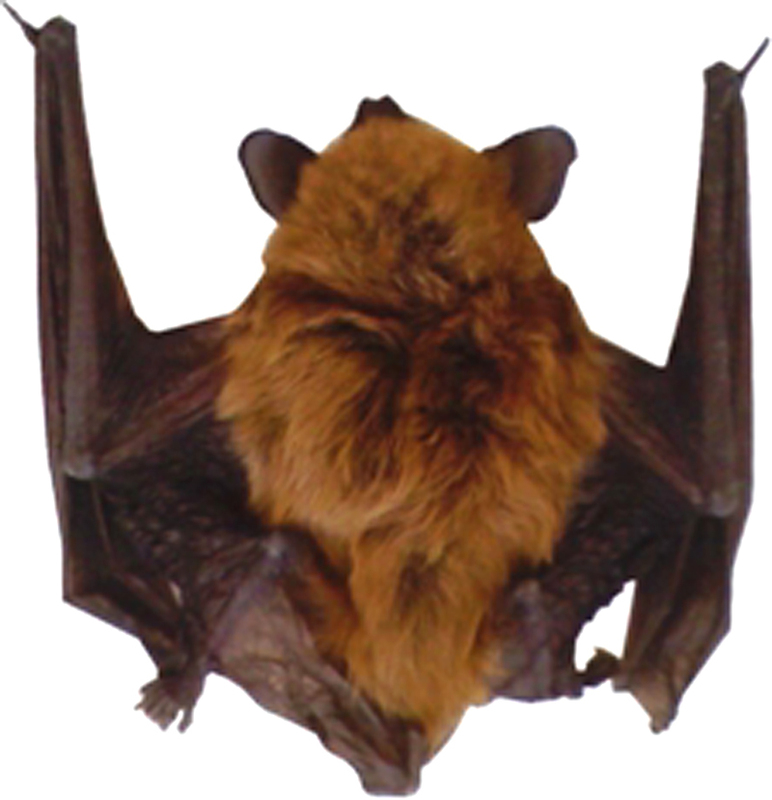 The Acton case was one of three bats confirmed to carry the rabies virus last Friday and Saturday between Stevenson Ranch and Acton. Together with three others found locally in late July, the Santa Clarita Valley has seen nine cases so far in 2012, and there are still two to three months left in the season. Normally just eight to 10 rabid bats are detected throughout Los Angeles County all year. The county has seen 34 to date in 2012, and health officials don’t know why rabies cases are double last year’s record-breaking pace. She said the victim was sitting under a tree in his or her own yard when a bat fell out of the tree, landed on the victim’s shoulder and delivered a bite. The victim used a piece of paper to scoop the bat into a cup and called Animal Control – which was the right thing to do, Beeler said, although she’d prefer to see people wear heavy gloves and protective clothing and use something studier like cardboard and a bucket to contain the creature. The bat didn’t fly away because if it was sick enough to fall out of the tree, it wasn’t going anywhere. Rabid bat distribution to date in Los Angeles County. Beeler said the victim wasn’t hospitalized, since it’s considered an “urgent” medical matter and not an “emergency” situation. Instead the victim was instructed on the protocol from the Centers from Disease Control, which calls for four rabies vaccinations spread out over two weeks and one dose of the rabies immune globulin administered into the wound. Beeler said things have changed in the last 30 years; gone are the days when painful rabies shots were administered into the victim’s abdomen. Today they’re administered into the upper arm like a flu shot. While she couldn’t immediately recall the last time someone was definitely bitten in Los Angeles County, Beeler said there have been cases where victims thought they might have felt a pinprick when handling a bat (a no-no), and other cases where health officials suspect someone might have been bitten. The same day the bat fell out of the tree in Acton, another rabid bat was found alive on a patio in either Stevenson Ranch or Westridge. The next day, Aug. 4, another bat was found alive outdoors in the area of Newhall that shares the 91381 Zip code – presumably Sunset Pointe, just south of Stevenson Ranch. “To the extent there is a season (for rabid bats), it’s definitely the season,” Beeler said, referring to the six found in the Santa Clarita Valley over a 9-day period. Beeler speculated that younger bats, just like younger humans, are more susceptible to disease, and this time of year, younger bats are coming out of their roosts and learning to fly. She said she doesn’t think people have gone “bat crazy” reporting rabid bats this year, and instead characterized the totals as conservative because there are probably more rabid bats in less populated areas that aren’t been seen. Why Los Angeles County in particular is anyone’s guess. San Bernardino County is at its normal level of eight, Beeler said. Call the Castaic Animal Shelter at 661-257-3191 if you see a bat flying during the daytime, or flopping around on the ground, or flying near pets or children when no food source is present. Never touch a bat, Beeler said, and vaccinate your pets. A properly vaccinated pet that’s been exposed to rabies must be home-quarantined for just 30 days, versus a home-quarantine period of six months for pets that aren’t up to date on their shots, she said.